100% Ibérico Bellota There are 5 products. 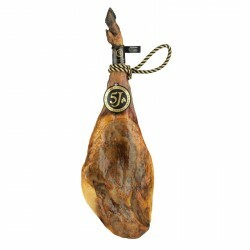 Pata negra ham 5J pure ham acorn fed from Huelva with a weight between 6,5 and 7 Kgs aprox. 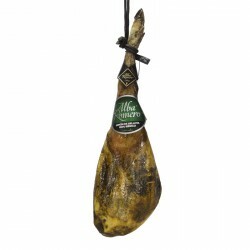 Iberian Ham from Huelva Sanchez Romero Carvajal with a weight between 8,5 and 9 Kgs aprox. Jamón Ibérico de bellota Premium de Huelva Certificado. 100% ibérico.